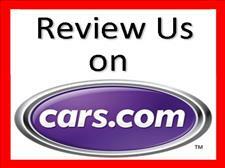 Click Here to Leave Us a Review on Cars.com! Purchased a 2002 Ford Explorer. They both were very nice and accommodating. If you're looking for a good used car and friendly honest service, this is the place to go. "Incredible integrity ... Fabulous pricing ... You won't be sorry!" This is the second car we have purchased from Auction Trades. Let me say what a pleasure it was working with the staff at Auction Trades. They went above and beyond to work with me on finding the right car, and more importantly the right purchase options. They even let me put down a down payment with no purchase date known, just that I wanted the car. What impressed me most was other potential buyers asked about the car I wanted, and instead of selling it out from under me, they said it was sold. I will definetly buy from them again in the future! We were treated super nice. I would buy many more from this place .The people are down home and don't smother you like other car salesman do . If you are looking for a good used car the only place you need to go to is auction trades .You won't be sorry. Fantastic Family to work with! We didn't end up purchasing a vehicle, needed to wait until after Christmas Holidays. We put a deposit on a car that was non refundable. What a great New Years gift to see the notification that the deposit was returned to my bank account!!! The owners truly care about the business and it's customers. We will definitely do business with them again! They really take good care of their customers. Good family business providing quality at a fair price. I wanted a car that was under $4K and found a number of high potential candidates at Auction Trades LLC. I settled on a Saturn VUE and have been extremely pleased with it! This dealership ‘gets it’. They buy right so they can offer good equipment at great prices with genuine care. I am grateful to the Kong’s every day as I sit high, ride smoothly and feel great about my Saturn! Great folks to work with! Great experience. I would highly recommend them. Tony is honest and worked with us. Keagan bought his first car. Great experience! Right car, right price, just right service. Very pleased and will be back. Thank you Tony. Saw what I wanted advertised. Called and got salesman right away who said he would hold until I got there, about a thirty minute drive. Much appreciated. The car was all as advertised and more. Right car, right price, just right service. We’ll be back. The best car buying experience I have ever had! Highly recommended. Great family run business. Honest people who are patient and willing to work with you. Loved working with them to get my car! I bought a used Toyota Corolla from Tony. He told me the car was a great running car with nothing wrong with it. He said he changed the seals on the valve cover gaskets, so I took the car to express oilchange and to confirm he changed it. The car ran six days and the motor went out. I informed Tony and he told me he didn't care and that it's my problem now and he doesn't have to do anything. I told him $3011 was too much money to spend for a car that ran a week, Tony informed me that he did not care to hear anything else about it. Make sure you get the car fully checked because this place is very dishonest, they will tell you anything to get your money. This was a great running car and had a few hundred miles put on it before Ms. Martin purchased it. She made her vehicle purchase after a test drive and after we agreed to let her take it to a mechanic shop of her choice for an inspection which she paid for. As unfortunate as this is, it is the down side of this business as no one can predict the future of a mechanical machine. This is why we offer extended warranties. 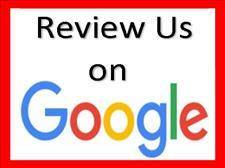 Ms. Martin did not purchase a warranty because she stated she was comfortable with the results of the inspection. Although we do understand, we are sorry her opinion of our dealership is based on the unpredictable nature of a mechanical machine. I was in a desperate situation when I purchased my vehicle. I started a new job and needed transportation. I purchased a 2000 volvo S80 it drove well. After I purchased it all kinds of dash lights popped on . Everything from brakes to tires to engine to air bags to no oil pressure. I never bought a car on my own, being a widow it was a new experience for me. I still can't open trunk, without a key. I would NOT recommend my friends to this dealer. Great people to deal with, definitely worthy of your business. Extremely courteous and helpful. Unfortunately the car sold before I could get there. He was over an hour away from my house and I wanted my mechanic to check the car. They were willing to drive the car up here but could not due to thunderstorms. I had a great experience I will purchase from there again!!! They replied back quickly as possible..They was so nice. The best experience I’ve ever had buying a used car!! I love my car I got from them and I love it even more that it is in good working condition and it’s not breaking down on me!!! I definitely recommend them!! Nice & friendly people to do business with! No hassle and my 18 year old son drove off smiling in a really nice car! Best experience we have ever had purchasing a vehicle.. Very nice people and will be back when in the market again. Good experience loving the car. One of the BEST experiences we have EVER had purchasing a vehicle..Will use them again!!!! Honest and easy to deal with. No hassle, and have a good selection to choose from. I bought the car and it is a great deal. Thank-you. This is a very good place to look for your next car. The dealer contacted me quickly via email. Quality pre loved automobiles at a fair, affordable price. Family owned and operated. Professional customer service that looks out for the clients best interest. Tony and Dore are fabulous people. Very nice to deal with. Would recommend them to anyone for the used car buying experience. I just bought a 2004 Jaguar from them. The service with the purchase rivals with top end luxury car stores. I had a delay in the purchase and the King's went out of there way even bringing the car to my wife and I in Huntsville. I've been around the car business since I could walk from sales, service to recycling and this place is a rare find, I'll be back again for sure. Good dealer. Responded promptly to my request for more info. Made buying from them easy! I have to say overall the price was excellent, $2800 below book value!They have Great Cars at a Fair Price!